I’d forgotten what it was like to have a carrot. Two years of training solo. Two years of doing speed intervals on my own. It was good for getting my mind in the right frame of competitive running, pushing myself to the limit and not prematurely kacking out. 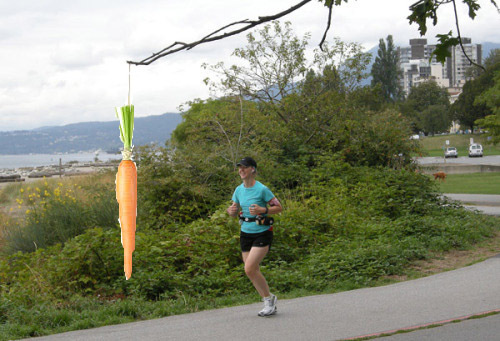 But, there is something to be said for the carrot. 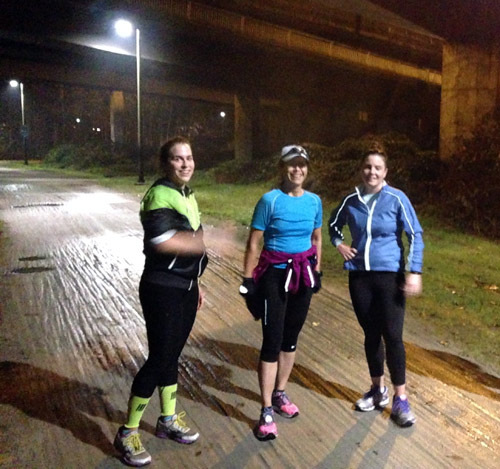 My study gals and I did our first set of speed intervals along a straight dirt track, pretty much out and back. All out over the course of 30s; 45s; 1:00; 1:15; 1:30; 1:45; 2:00; 2:00; 1:45; 1:30; 1:15; 1:00; 45s: 30s with a 1:15 ‘ish’ walk break between each. There’s a few speedy girls in this group, like, super speedy. And I was perfectly fine, or so I kept telling myself, to let them go their pace. I knew what my pace should be and I was going to keep to my pace. Note the operative word “was.” As is usually my style, those competitive juices had me surging after those girls, trying to keep up. When I felt myself slowing, I heard the Kiwi voice of Coach NZ speaking to my feet: “quick fast turnover.” When I felt like I wanted to puke, I sucked in my diaphragm and squared my shoulders. When I heard my breathing get loud and asthma-esque, I tried to channel my inner yogi, but then remembered I have no inner yogi, so I got louder instead. Ps. I think it’s high time I brought out the ol’ proper camera so I can ACTUALLY get in-focus photos! This entry was posted in Running, Training and tagged speed intervals, UBC Run Study. Bookmark the permalink.